Today I present to you: a simple triangle shawl for beginners! It’s a simple design worked bottom-up with single crochet and half double crochet stitches alternating. Perfect for beginners who want to give their first triangle shawl a try! I’ve made many shawls lately and decided to make one that is super simple for beginners. I used basic stitches which are easy to learn for beginners. The Never ending Shawl is called ‘never ending’ because you can work on it forever.. or till you think it’s big enough. I personally stopped when I ran out of yarn. 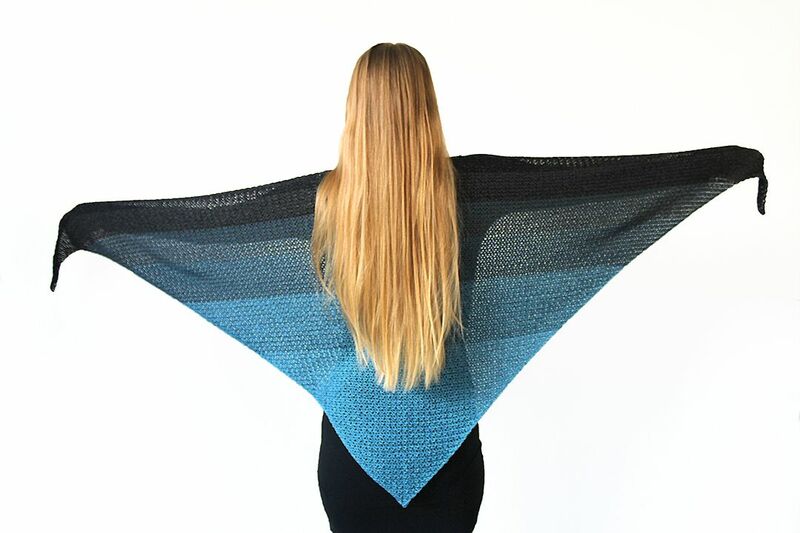 If you’re a beginner, this simple triangle shawl is a great project to start with! The best thing about this simple triangle shawl is that you don’t have to focus on following a pattern. All the stitches you need to know for this shawl are single crochet and half double crochet stitches. We work one stitch in every stitch. We increase at the start and end of a row. This way the shawl becomes wider. For those who need some extra help, I’ve added a video tutorial which you can find below. The simplicity of this pattern makes the Never ending Shawl a great project to work on while traveling. I worked on it in the train and car (while Koen was driving) – and while watching my favorite Netflix series. For this design I used a gradient plied yarn cake. 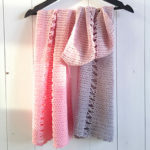 Actually no matter what crochet shawl you make, every shawl will turn out great with a yarn cake that changes colors in a beautiful gradient way. As summer is over, I decided to use darker colors for this shawl. Blue is one of my favorite colors, so I chose a blue/grey/black cake. I think the colors look very chic and it looks great with a simple black (or blue) dress. 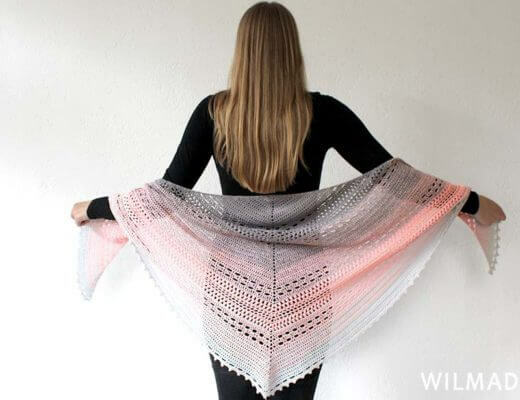 Below you can find a 2-minute video of the Never ending Shawl. Repeat row 3 till you think the shawl is long enough or till you’re out of yarn. Told you it was easy! 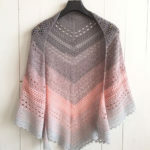 If you have any questions about this simple triangle shawl pattern, feel free to join my Facebook Group. I created this group for you to share pictures/ progress, ask questions and to help each other out. Thank you so much for sharing this pattern, it’s so easy and it make a lovely and unusual texture! I enjoy how you combine stitches to make unique and beautiful new patterns. I didn’t have the yarn you suggested, so I am using a DK weight lime green and dove gray yarn. I’m thinking about adding a border, I will look around your site and see if I can find something. Take care! If I follow your directions, then there are two single stitches before the final half-double crochet. Is this correct? So very lovely. I am going to make this in the Redheart Ombre Yarn in Scuba 🙂 Thank you so much for sharing this wonderful pattern. 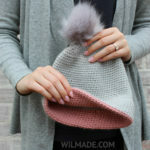 I love how this yarn looks, can you tell me what brand? 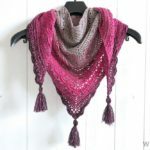 Miss Wilma… love this shawl… I am an experienced crocheter, but love the ease of taking this with me… HDC, SC, HDC, SC… what could be easier? 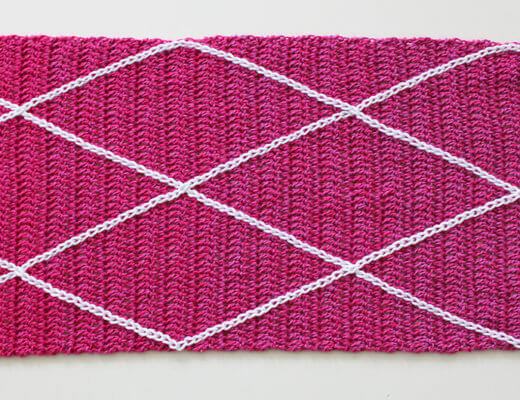 I’m thinking about making this a rectangle shawl…. increasing on one side only. Do you have any thoughts on this? I’m thinking it would be similar to making a C2C square off for a afghan/baby blanket. I FIGURED IT OUT! I worked on a smaller piece (15 stitches across) and wrote down my pattern. If you would like to see it/use it, please let me know. 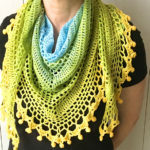 Hi Christine, I want to make a rectangle shawl as well. Wonder how you do it? I was going to chain even number of stitches till i have reached the height i wanted then hdc and sc across. Please let me know how you do it if you don’t mind. Thanks. I just realized what a dumb question as your instructions state to keep repeating the pattern until the shawl is long enough. I have my answer. Thanks! Hi Wilma. On row 3 where the pattern is enclosed in asterisk does that mean to do those two stitches in the same stitch? I am doing it in the next stitch as it reads and winding up with a hdc before the last stitch in parentheses. Am I doing this right? Hi Nathalie, it means you need to repeat the part between the **. Only the first and last stitch of a row need more stitches in one stitch 🙂 So you basically just make an increase in the first stitch, then crochet ‘1hdc, 1sc in next’ till the end, and make another increase in the last stitch. Let me know if you have more questions! 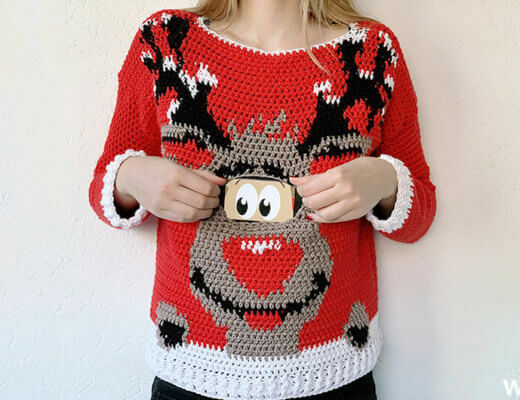 What could I do to crochet this in a plus size? Hi! How big does your shawl measure? I have just finished on the third colour and can’t decide if I should use one more ball of the same colour or move on to the next colour. Worried that it may not be big enough if I move on to the next colour which I planned to use 2 balls of. Thanks! Still waiting for this yarn, but thank you for this wonderful pattern and tutorial. Thank you Casey! Unfortunately the shop of the yarn I used is still down, I just contacted her again for an update! Hi Wilma, I purchased cotton flowers for a different project, but I was unable to read my work. But with this pattern of yours I can read what I Crocheted and love the yarn n pattern together. Thank you for sharing this lovely shawl. Thanks for letting me know, I just checked and the link indeed doesn’t work. I contacted the seller and she emailed me that the link will probably work as of tomorrow! Love it, thank you for sharing! I’m starting one for myself today . Can red heart boutique yarn be used for your shawl? How many skeins did you use? 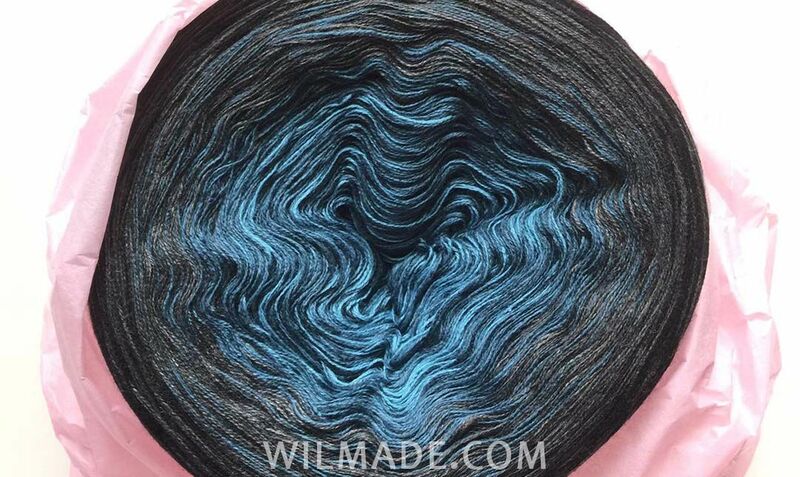 10 – 1.000m skeins?